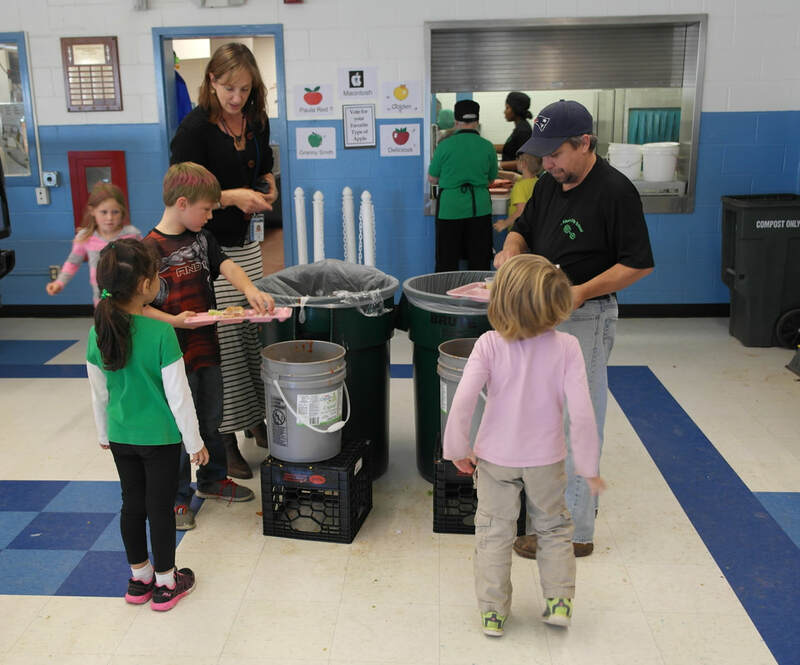 St. Albans City School has been committed to composting our food waste for the past eight years. 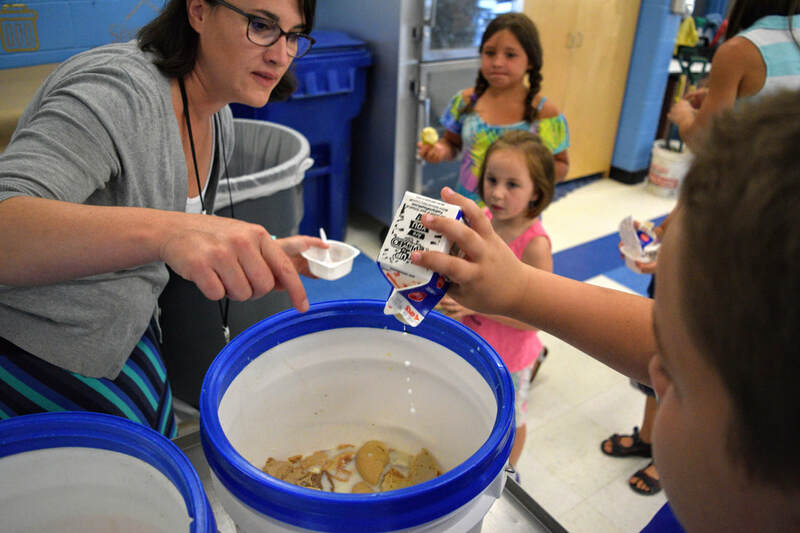 Uneaten food is collected in buckets or totes in the cafeteria, the kitchen and classrooms each day. 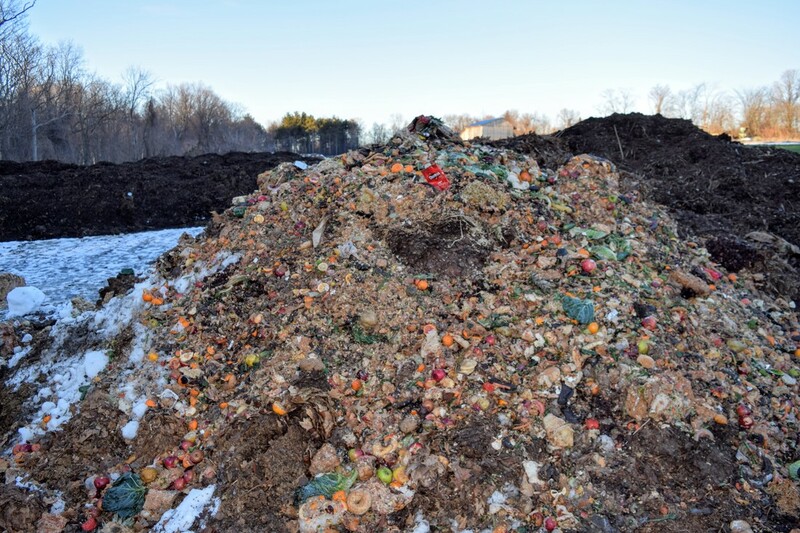 Then, several times a week a delivery service collects that food waste and transports it three miles down the road to the Hudak farm composting area. 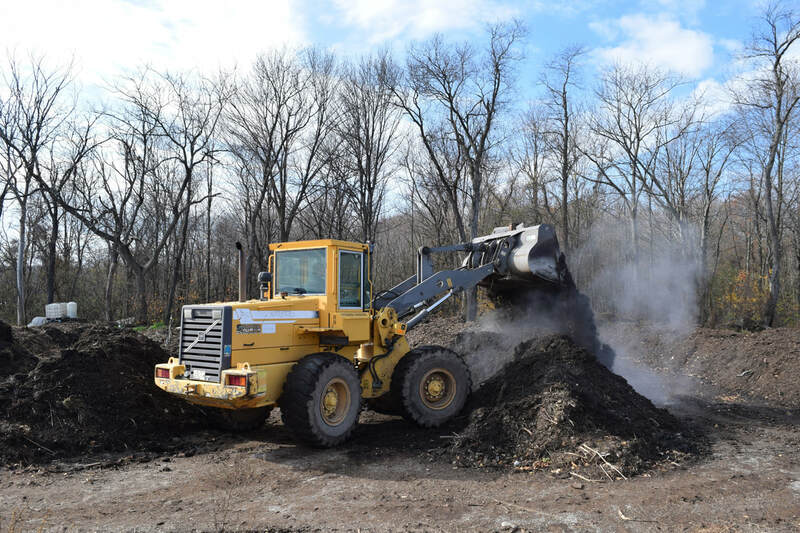 Hudak's adds carbon matter to the food and creates massive compost piles that are turned with a large front end loader on a regular basis. 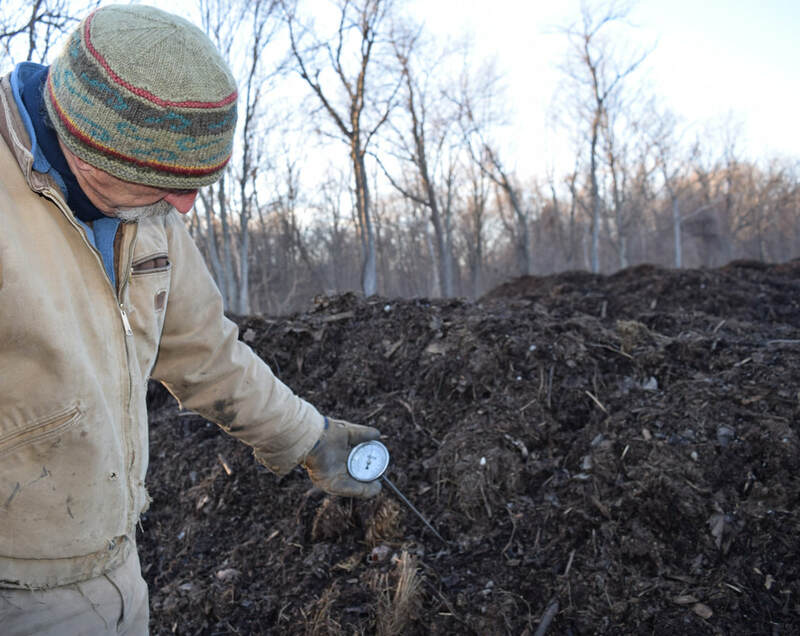 The finished compost is sold to local gardeners and farmers. 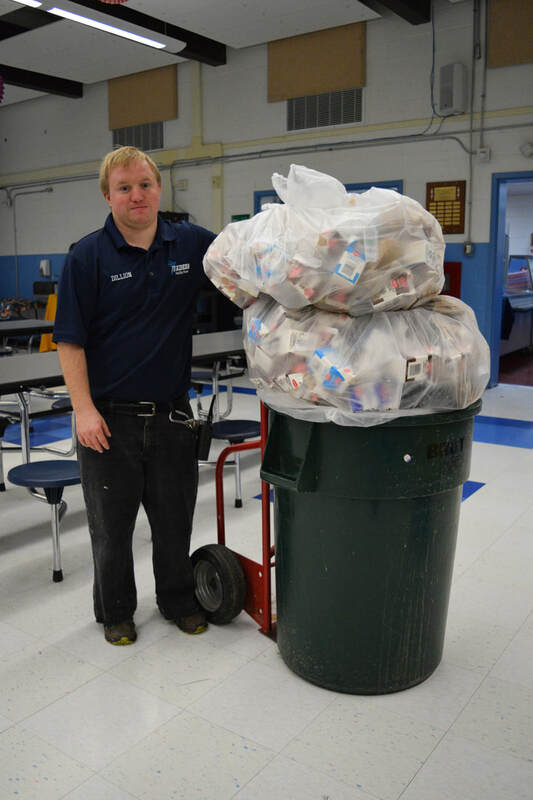 Our food waste amounts to 150-200 lbs/day and we are working to reduce that amount. 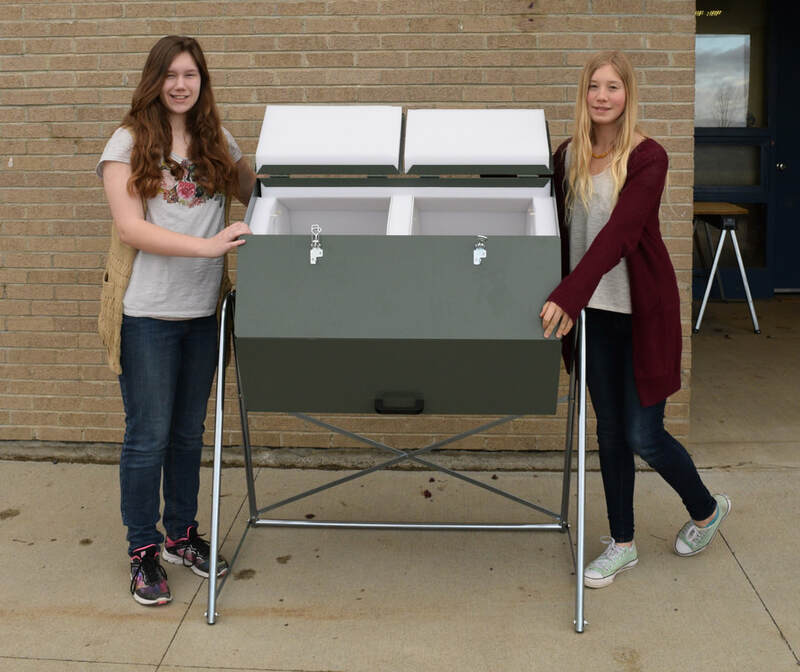 SHARE FRIDGE: One way we have successfully reduced food waste (and hunger) is to have a share fridge in the cafeteria and another one in the larger wing of our school. 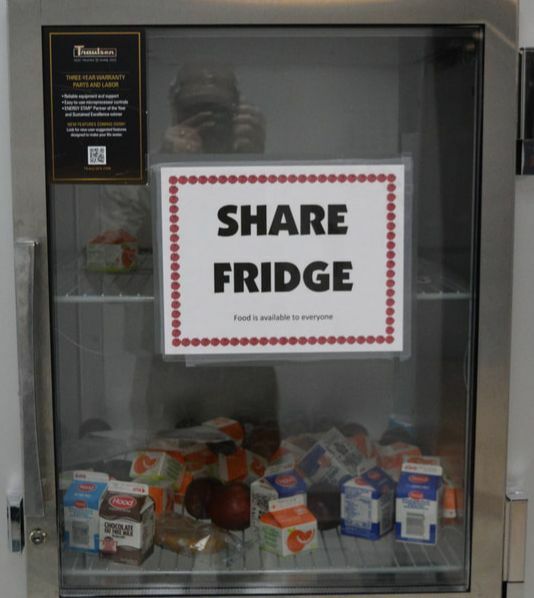 Students who don't want an item of food can leave it in the share fridge for others to consume. 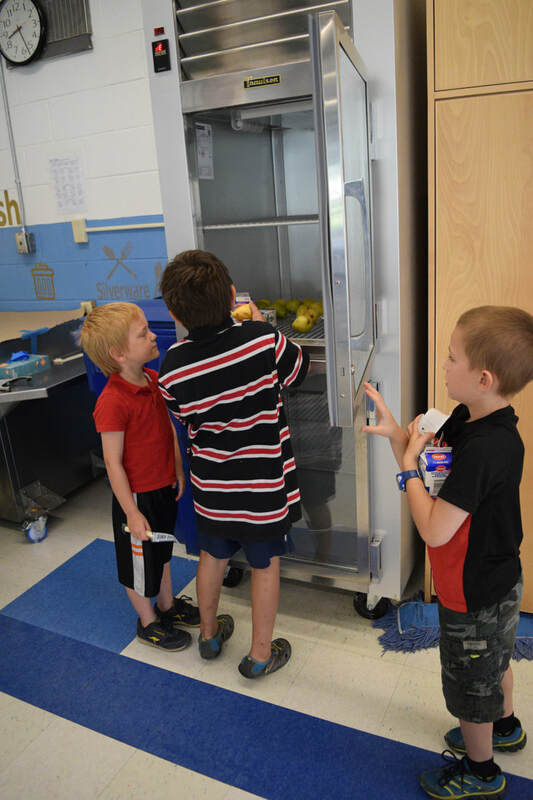 The fridges are very popular and most of the food added to them is taken by students. 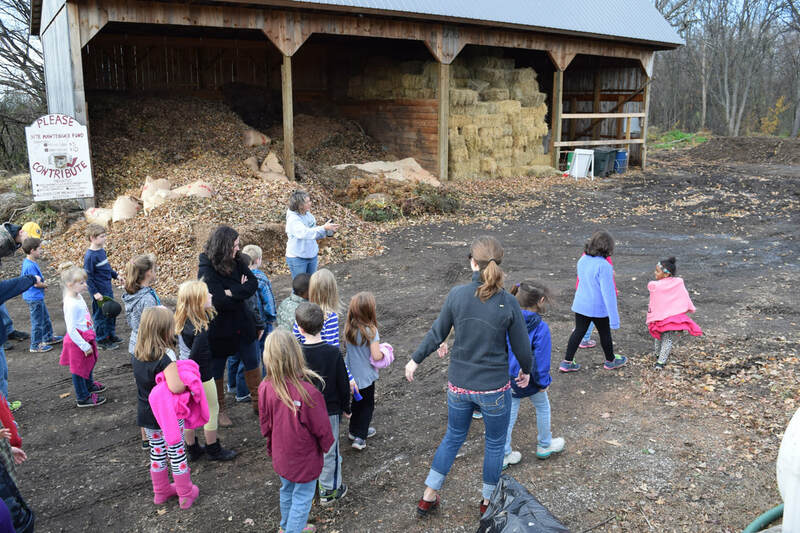 Compost shed next to our garden spaces and the school's walking path. 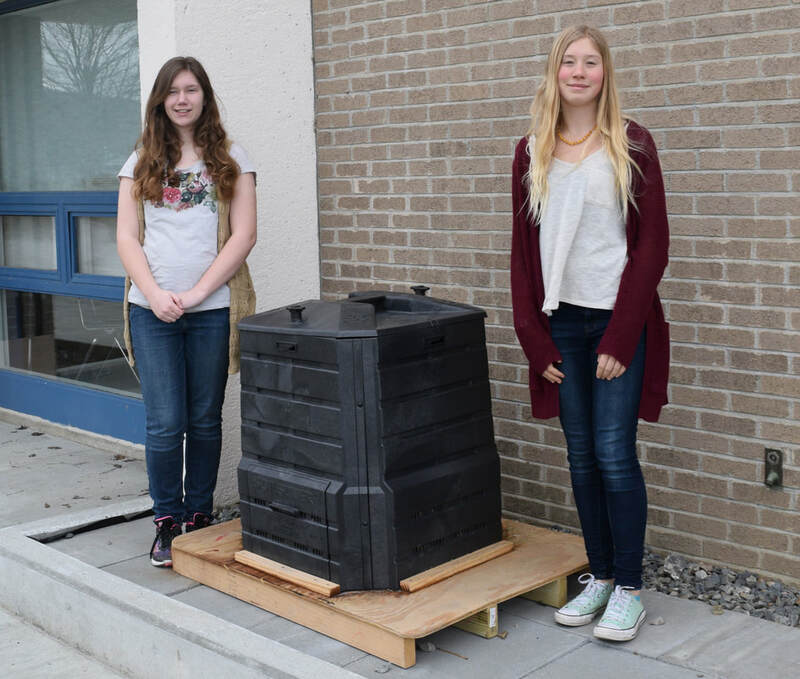 Our most effective composting units. 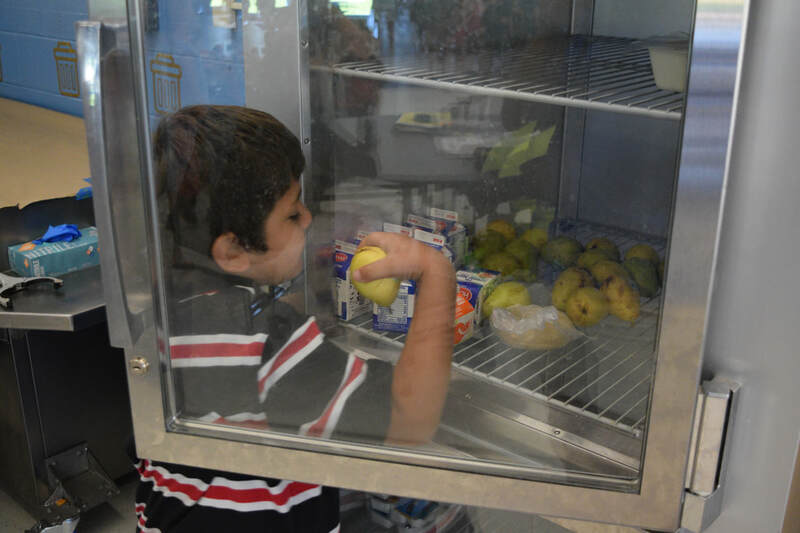 We generate lots trash associated with food consumption -especially since we serve so many meals: free breakfasts, snacks and lunch. 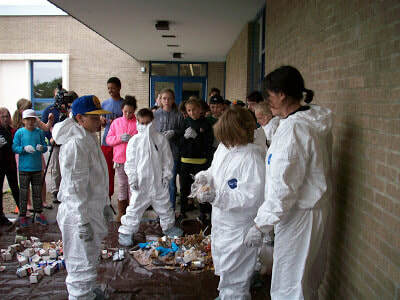 We are planning to serve bulk milk and eliminate some of our carton waste. 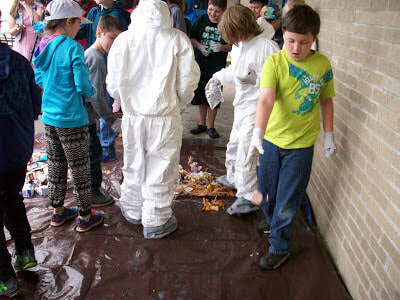 LINK TO A 12-MINUTE restaurant trash-sorting VIDEO. 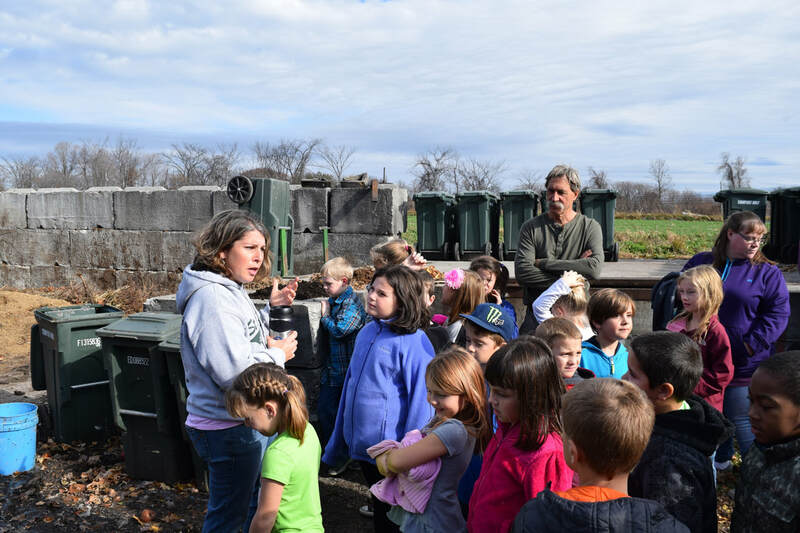 By watching this video you can learn a ton about what can and cannot be composted. 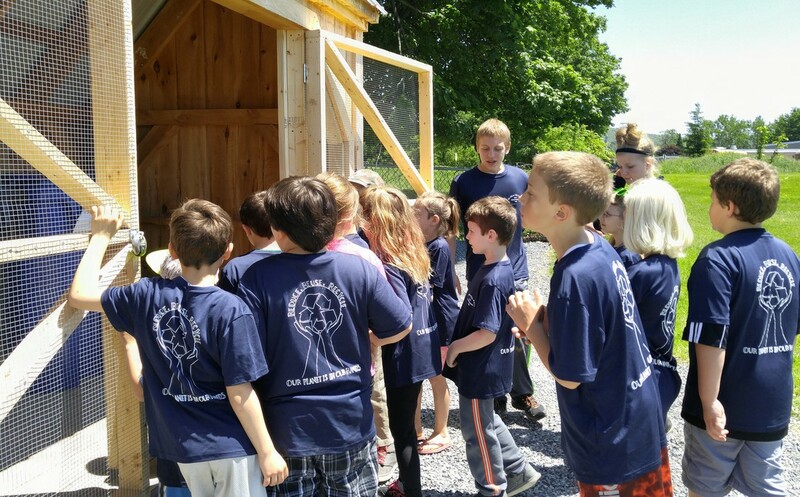 The video was made during a Farm to School workshop at Shelburne Farms attended by our farm-to-school team in 2013. 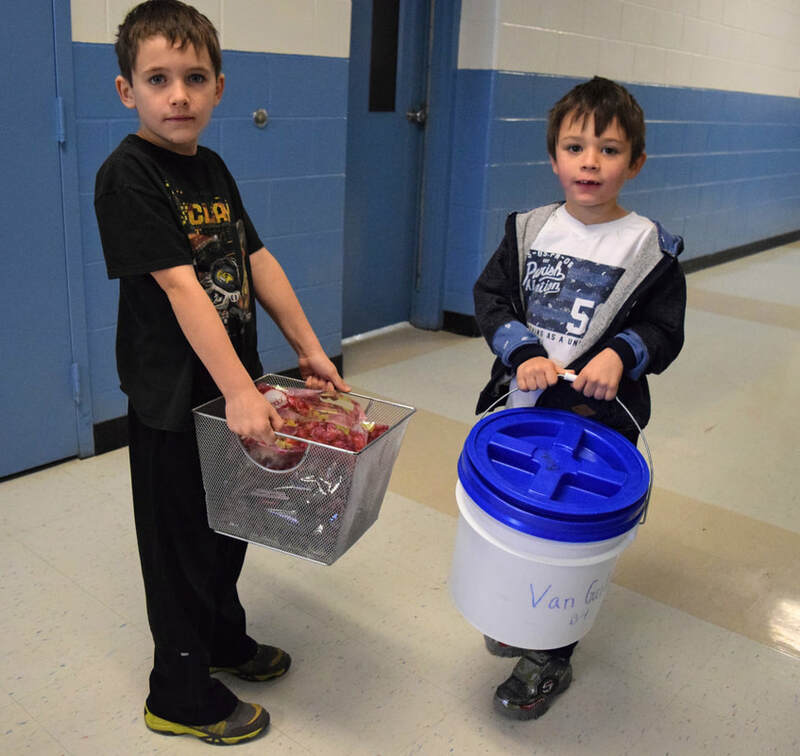 Alisha Sawyer, one of stewardship staff leaders, did much the same thing with students in 2017. 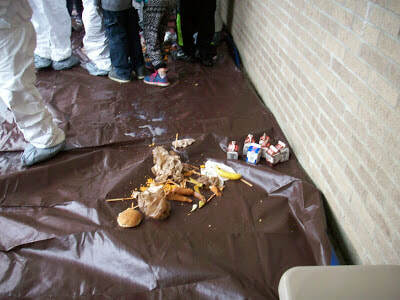 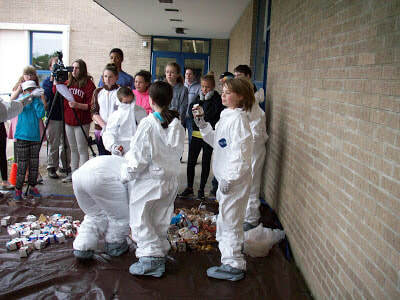 We are trying to educate or students about where food waste should go - not in our trash cans.